Which Inventory Control Method Is Right For You? Efficient inventory control is critical to the profitability of any manufacturing enterprise. However, with so many inventory control methods available, it can be overwhelming to sift through them all to determine the best fit for your company. In general, manufacturers want to find a system that optimizes inventory levels, minimizes waste and consistently meets production line demands. Out-of-demand Stock – Maintaining inventory for which it is little or no demand eats up valuable storage space, creates unnecessary carry costs and eventually becomes a liability on the balance sheet. Stockouts – These can be harmful events in terms of earning customer confidence and retaining customer loyalty. You want to make sure that your software and your inventory control method ensure that you have sufficient stock to meet customer demand at all times. Spoilage – This can occur when stock sits too long on the shelf and then you have to throw it away. Be sure to implement a strategy that minimizes spoilage and waste. Obsolescence – When products become outdated and replaced by newer versions, they can sit on the shelves and either get moved at a deep discount or thrown away like the spoiled products. Obviously, this condition should also be kept to a minimum. Since each manufacturer is a unique enterprise with its own set of operating procedures and business process, there is no one inventory control method that we recommend. To give you an idea of some of the most commonly used inventory control methods in use today, we include the following list with brief overviews of each. A few are more applicable to manufacturers than others and we’ll highlight those, where appropriate. JIT is often used in manufacturing environments and less frequently in retail industries. The objective of the JIT method is to increase inventory turnover while minimizing inventory holding costs. JIT is also quite effective at exposing low-demand or dead inventory. In theory, the JIT approach is designed to deliver the exact quantities required to complete current production. To do this, a manufacturer orders stock only a few days in advance in anticipation of selling it, which can be a risky proposition if its suppliers can’t be trusted to consistently deliver on demand, due to delays in production or shipping. Of course, any delays can result in lost sales. To help this approach succeed, manufacturers often use suppliers who have a warehouse in close proximity to their manufacturing facility. Retail industries often use this method, sometimes as part of a hybrid with another method. With this system, inventory is divided into three classes – depending on actual sales and customer demand. Typically, the A-level products are in high demand and generate the lion’s share of sales. A commonly used formula is to place the top 20% of products that contribute roughly 80% of sales into this category. B-level products are lesser contributors and C-level products are the bottom performers and are marginal to the company’s bottom line. This method, often used by retailers, ensures consistent replenishment of existing inventory and is therefore helpful in preventing ordering mistakes. When inventory reaches a predetermined level, an order is placed for a fixed quantity of more stock. An ERP system with built-in inventory management functionality should do this automatically. This model presupposes that you’re going to closely track your inventory and that your sales and lead times will be constant. To make the most of this approach, a company needs to know the minimum and maximum stocking capacity of a particular item, based on space allocation and sales trends. With this system, upper and lower inventory limits for each product are determined and when inventory drops to the lower limit (min), you order quantity needed to reach the upper limit (max). While easy to use, this method does present the risks of running out of inventory before the next shipment arrives or being stuck with excess inventory if the max is set too high. In order to minimize these risks, it’s helpful to apply accurate sales forecasting and sales cycle identification when establishing minimum and maximum inventory levels. This method involves taking inventory at predetermined intervals, such as every 30, 60 or 90 days and then placing orders to ensure there is sufficient stock until the next inventory is taken. This approach is more apt to work for companies with limited inventory as it’s a time-intensive approach for companies with larger inventories. With this approach, products are divided into two bins. The first bin holds the majority of stock and is used to deliver items. When that bin runs out, the remaining stock, which resides in the second bin, is used to fulfill orders until the new stock arrives. This system requires an accurate assessment of how much stock to maintain in the second bin, so that you never run out and possibly lose a sale. It’s also wise to perform rotation of stock between the two bins to prevent against possible spoilage. Here’s a system common in retail environments in which responsibility for maintaining inventory resides with the supplier. A great example of this approach is on display every day as vendors replenish stock of their own products on grocery store shelves. Typically, a retailer provides shelf space to the vendor and, in turn, the vendor is charged a consignment rate for products sold in that location. Commonly used in manufacturing environments, this method is an extension of the Two Bin Method, except that a third bin is maintained at the supplier’s location. In this arrangement, the supplier agrees to not produce additional items for the manufacturer until the reserve bin has run out. Specifically, once the inventory from the first bin has run out, it is replaced with stock from the second bin, which, once empty, is sent to the supplier to be refilled. At that point, the supplier will manufacture to refill the inventory in the third bin. As the name implies, this method involves reordering stock at fixed time intervals. Often used in smaller retail environments such as pharmacies and small grocery outlets, vendors will check their stock onsite at the retailer and resupply products based on sales during that time period. Manufacturers should perform periodic audits of existing systems to assess whether or not they are working up to expectations and are able to accommodate growth and changes well into the future. If spreadsheets are still the dominant repository of “intelligence” in the warehouse, your company should consider a new approach. 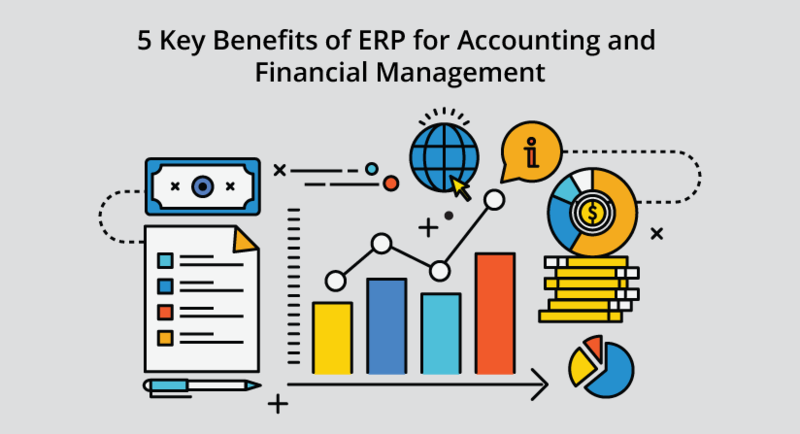 If your assessment points towards an investment in a new ERP system with built-in inventory control, make sure that the proposed solution fits the way you do business and supports the inventory control method that you deem most suitable. If you want to learn more about Inventory Management Best Practices, watch our on-demand webinar on Implementing Inventory Management Best Practices.